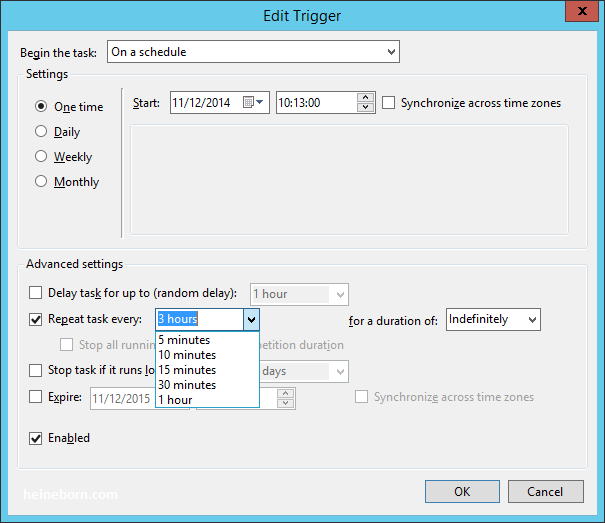 Default Sync period between On-premise Active Directory and Office 365 (Azure Active Directory) is 3 hours. This for many people is too long, especially if you are testing or you are small organization that can allow near "real-time" synchronization. Before proceed keep in mind following considerations. 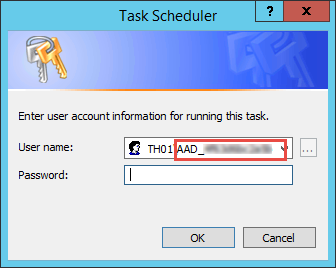 When you save the changes the Task Scheduler will ask you for a password for the “AAD_xxxxxxxx” account. 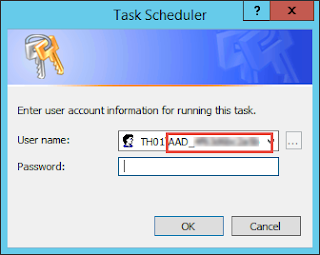 This local server “AAD_xxxxxxxx” account was automatically created during AAD Sync installation process and obviously you don't know password for that account. 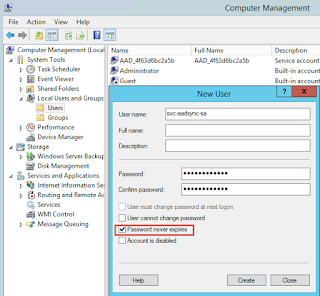 Some guys recommend local account password reset at this point. 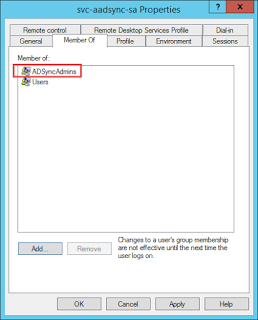 I disagree with this approach (you will discover some broken things later that depend on that account/password) and recommend you to create new account like svc-aadsync-sa and add it to ADSyncAdmins local computer group (also created automatically during AADSync installation process). 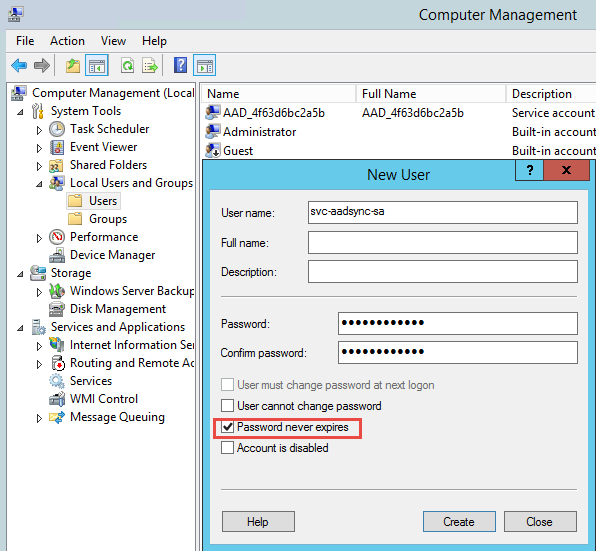 Use strong password during that process and option "Password never expires"
Where “AAD_xxxxxxxx” is an account was automatically created during AAD Sync installation process. Mentioned changes are not supported by MS and provided AS IS. Some of you guys maybe still use it. 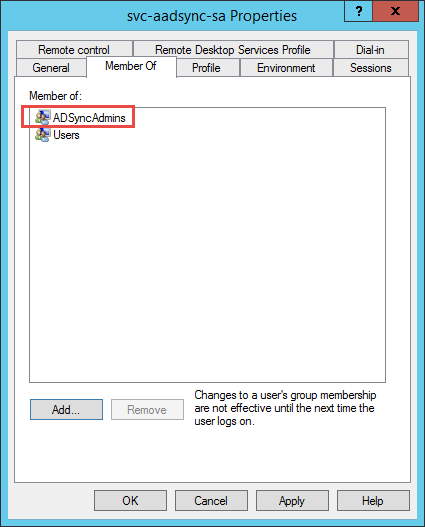 If you want to change the default sync period then firstly navigate to the Windows Azure Active Directory Sync directory on the member server where the Directory Sync tool is installed. Older version (i.e. 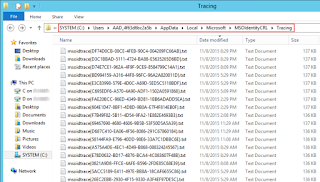 pre Azure) the directory will be called Microsoft Online Directory Sync. 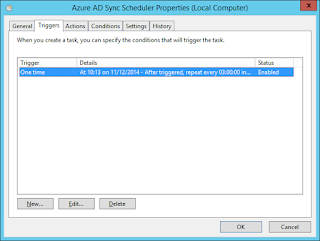 In DirSync the amount of time between synchronizations was determined by the Microsoft.Online.DirSync.Scheduler.exe.config file. 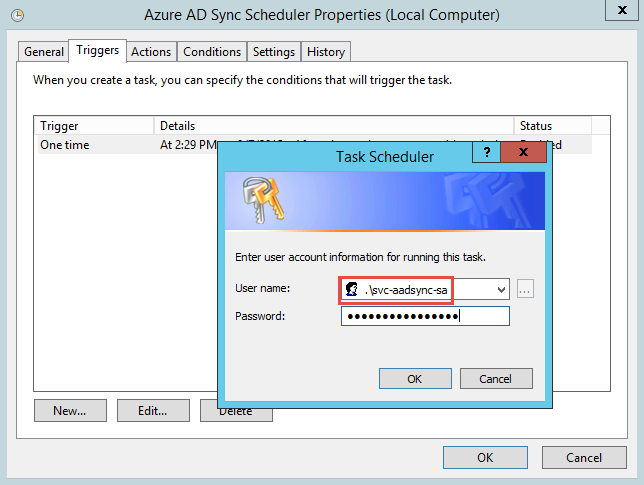 Step 1: Locate the config file Microsoft.Online.DirSync.Scheduler.exe.config in C:\program Files\Windows Azure Active Directory. 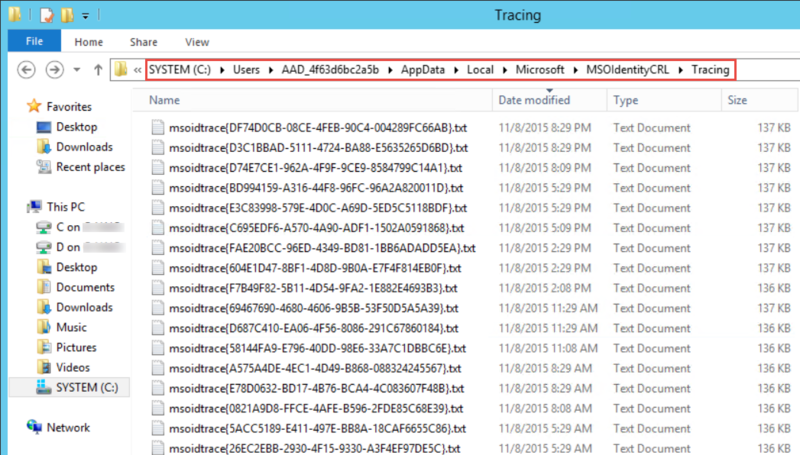 In the Older version of DirSync C:\Progam Files\Microsoft Online Directory Sync folder. Step 2: Open the Microsoft.Online.DirSync.Scheduler.exe.config file using notepad. 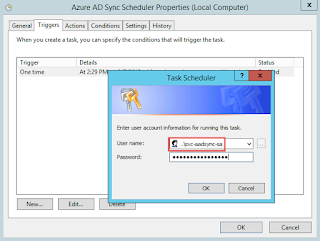 Step 4: After saving the file restart the Windows Azure Active Directory Sync service and in the old version Microsoft Online Services Directory Synchronization Service. 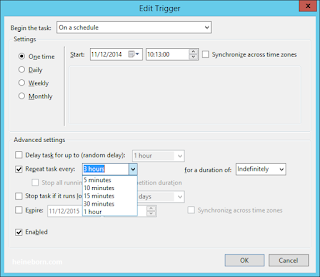 The above process will change the DirSync Time interval from 3 hours to 10 minutes.